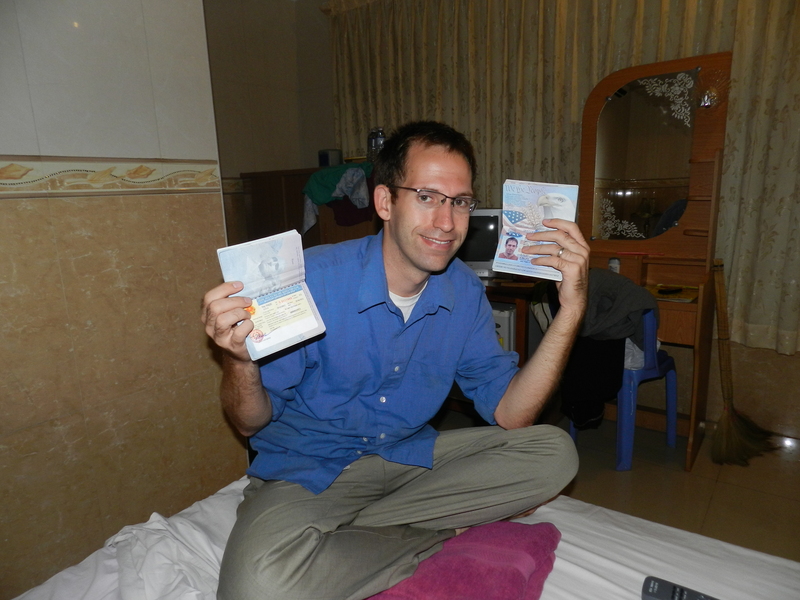 Okay, so maybe we’re not Vietnam bound yet but we did get our visas this week! Tim and I are in Phnom Penh for a few (long!) days of training and decided to take advantage of our time in the big city to solidify our vacation plans. Generally, most schools and health centers shut down for virtually the entire month of April because of the celebration of the Khmer New Year. This provides us volunteers a great opportunity to travel. This means that all sixty of us who are currently in town are all busy making plans and buying tickets. Tim and I had been bouncing around a lot of different ideas, but a friend finally convinced us to land on Vietnam. We will spend around two weeks there in early April, hitting some of the most raved-about locations in both the north and the south of the country. Trip planning has been a highlight in an otherwise long week. We’ve still got a few more days of meetings to survive so you probably won’t hear much from us until we return to site. In keeping with the theme of our last post (food! ), I wanted to write about a special meal that has become a tradition for me and Tim since we’ve arrived in Kampong Kdey. Tuesdays are usually very long days for us. For some reason, they seem longer, hotter and busier than the other six days of the week. And although we generally feel like crashing by four o’clock, our day always holds much more for us. After the school/work day is through, Tim and I sit down to lesson plan together because on Tuesday nights we teach English to a group of NGO workers at their office. 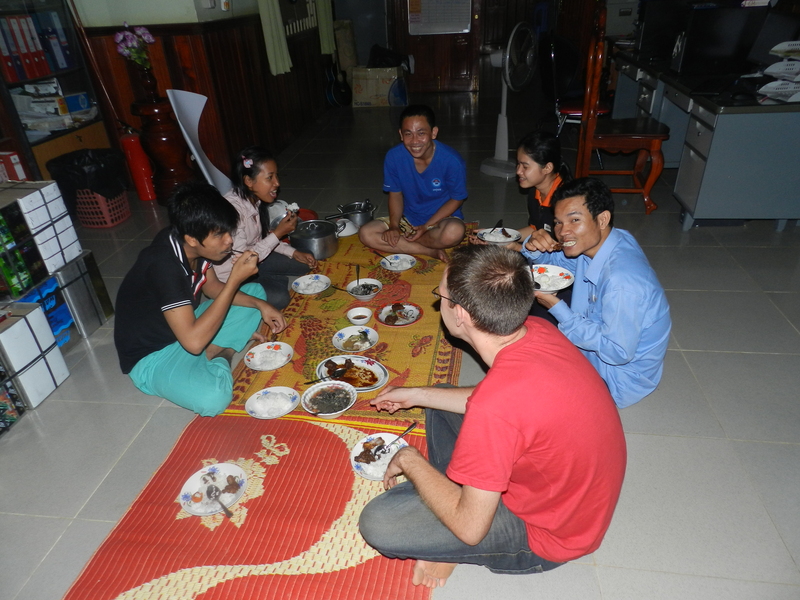 After that, one of the staff members then reciprocates the favor by teaching us Khmer. While we wholeheartedly appreciate this, do you know how tiring it is to begin a Khmer lesson at 6:30pm, after an already long day? To most of you back home that probably doesn’t sound too bad; however, in a village that is usually in for the night before dark falls, it makes for a long day. By the end of the lesson, we are usually exhausted! But, wait! What comes next? Every Tuesday, the NGO staff hosts us for dinner. Tim doesn’t have to cook. I don’t have to do dishes. We just sit down after class and share a meal with some of the friendliest people in our community. It is a relaxing, and much appreciated, reprieve from our long day. I remember during pre-service training we had a session on integration. The session leader was asking a panel of volunteers who “their people” were at site. One Volunteer replied that “his people” are the bank employees that he lives with. Another said she spends her time with the ladies at the market. One said that “her people” were the midwives in the health center where she works. For us, “our people” are the NGO and microfinance employees in our town. They have warmly welcomed us into the community and have taught us so much already. Even though I’m completely tuckered out by the end of the day on Tuesdays, our weekly dinners together are always a highlight of my week. I have really enjoyed cooking in Cambodia, mostly because it comes with some serious limitations. In the US, I tended to cook with a certain flavor profile in mind: creamy, cheesy, rich, and ridiculous. Anybody who knows me has probably been subjected to a 12 pound slice of my triple layer chocolate raspberry stout cake or a piece of meat of my choosing, stuffed with cheese, coated in cheese sauce, with crumbled cheese on top. Moral of this overly descriptive story: I overdid everything. 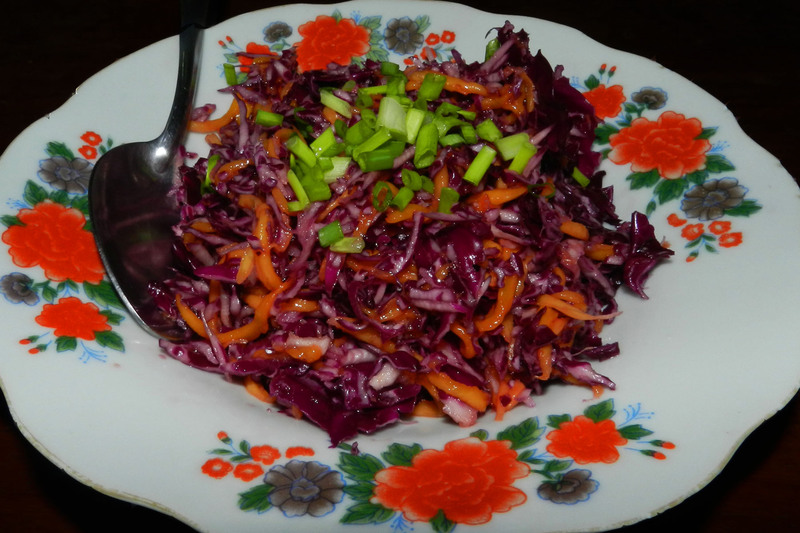 A simple, cheeseless mango and purple cabbage slaw. In Cambodia, I have been separated from my most reliable cooking weapons: cheese and cream. Not having a refrigerator really puts some limits on the dairy options. Another limitation is only having one small portable burner. It works great, but good luck having two hot things at the same time for dinner. Lastly, what is a warm-blooded American male without gadgets? Stripping away the food processor, blender, mixer, mandoline, slow-cooker, garlic press, coffee bean grinder, knife set, oven, 4 burner stove, sink, running water, and counter space has made me a much better cook. Having to MacGyver ways to make American classics without actually having the proper tools or ingredients is the best way to learn how to actually cook. Recipes aren’t really an option, so I’ve been able to really feel my way around meals that I’ve always wanted to master. 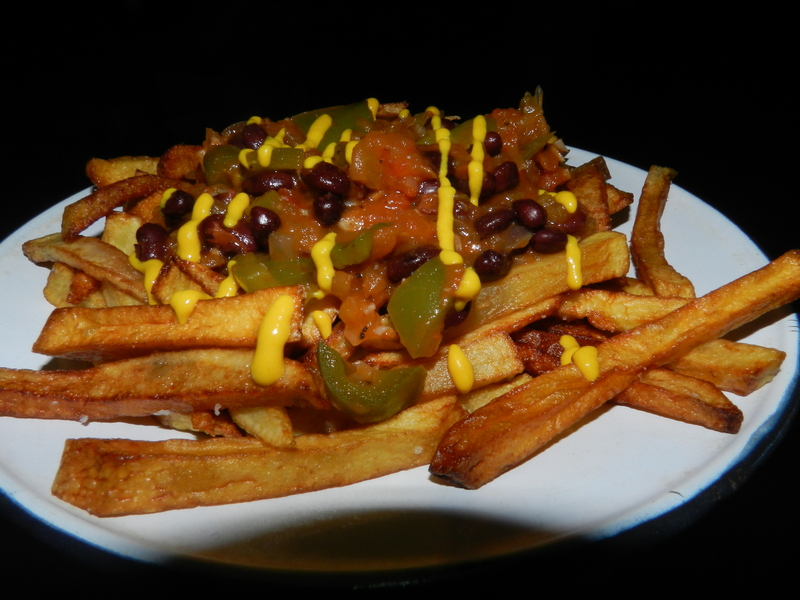 Mastering an intricate American classic - chili cheese fries, sans cheese. 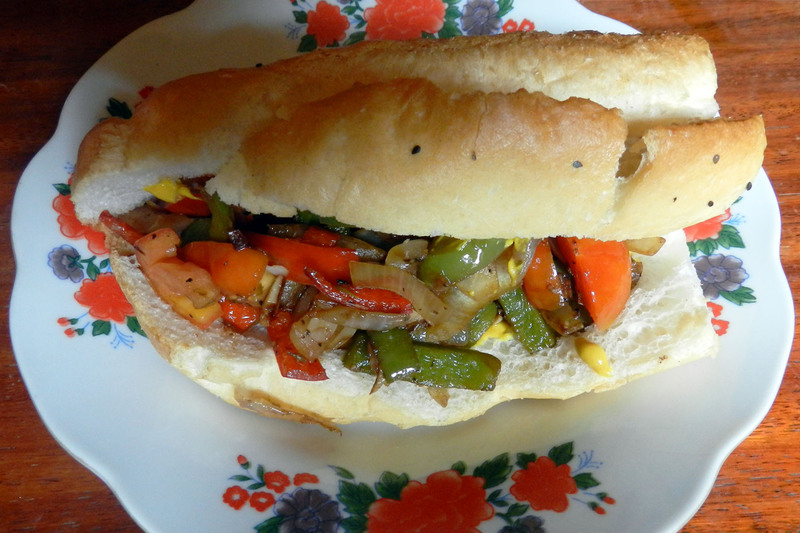 There is no more spending $50 on groceries to copy one Food & Wine recipe exactly. Our budget is about $2.50 a day for two people for two meals and a snack/dessert. Cambodian prices make a difference to be sure, but we’ve also gone vegetarian at home due to a lack of appetizing meat at the market. 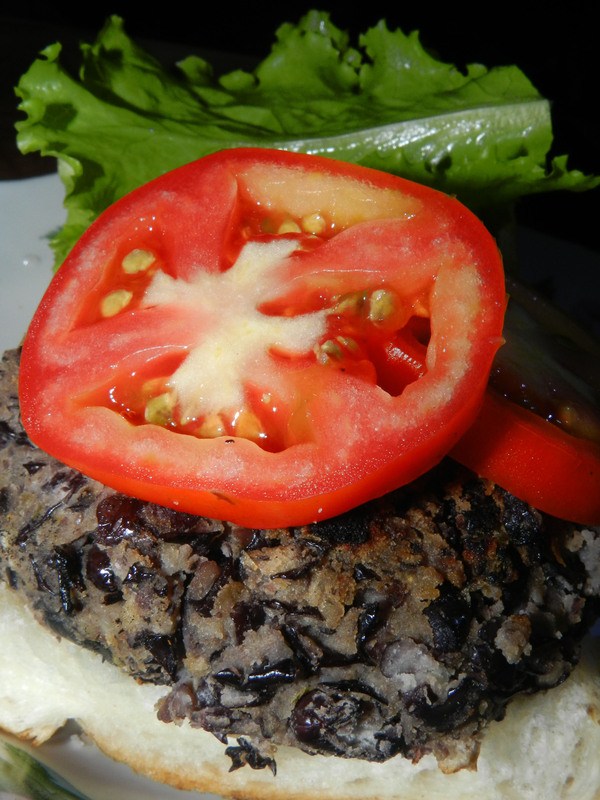 This isn’t entirely new for us, but it adds a nutritional component that we have rarely had to think about before. In a complete change from home, we’re on a never ending search for new sources of protein and lately, calories. We’ve both lost weight since arriving, and have been trying hard to level out and stay healthy. 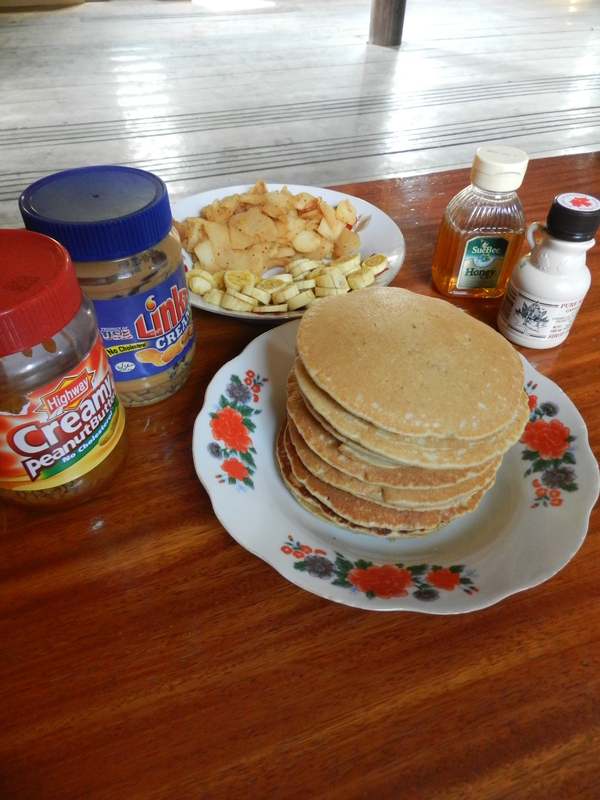 Regular Sunday pancake breakfast, complete with maple syrup (Thanks P&B! 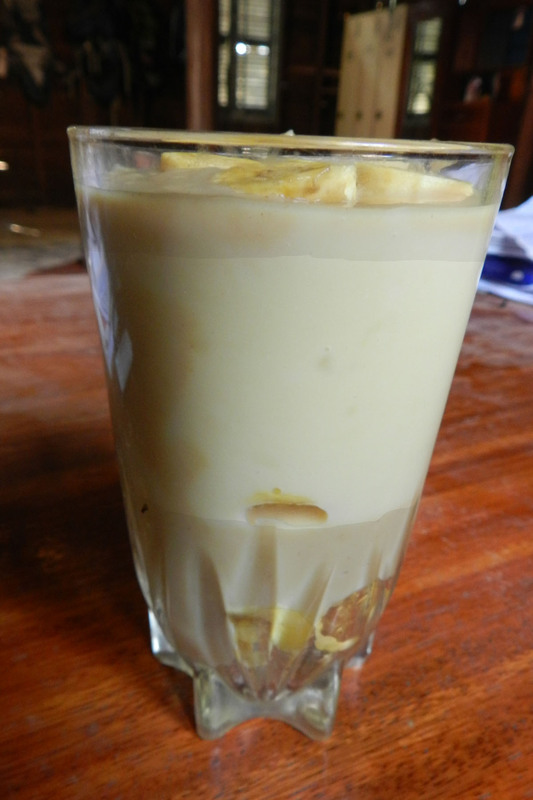 ), honey, homemade dairy-free caramel, cinnamon apples, bananas, and peanut butter. 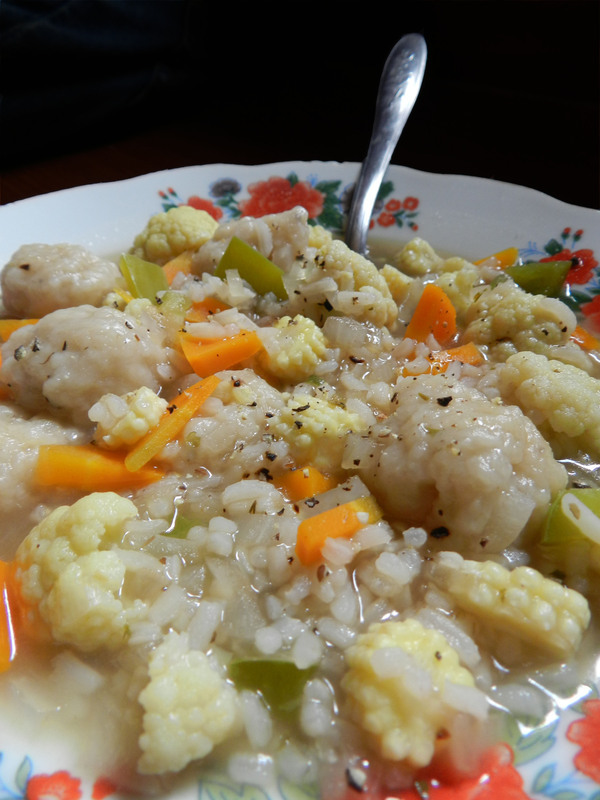 Dumpling soup - when we have no culinary creativity. Or time. Thanks to an excellent meal inspirer, photographer, and eater, Katie. Earlier this week, a group of American doctors, dentists and other health care professionals from Global Health Outreach held a one-day clinic in Kampong Kdey. 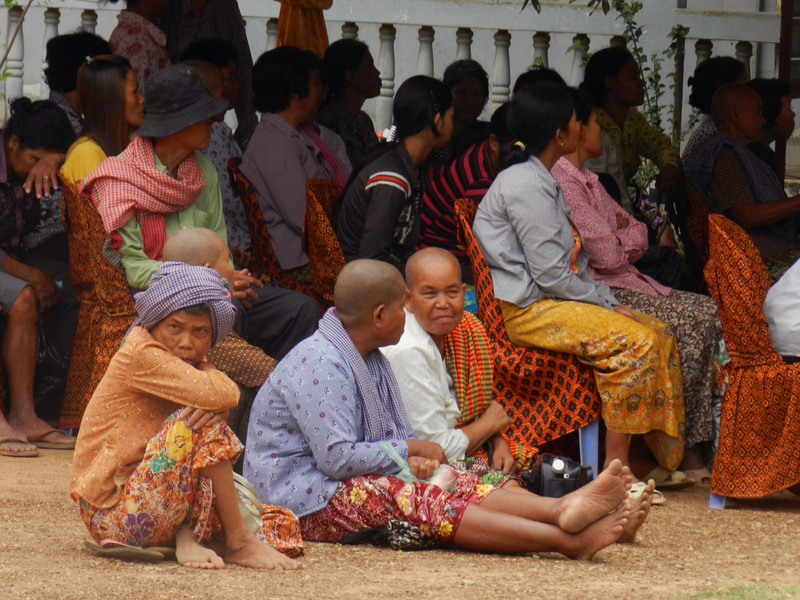 Nearly 350 patients flocked to the health center to receive treatment from the foreign doctors. Each patient had the option to choose between dental care, medical care or a basic eye exam. In some cases, patients got to meet with a physical therapist or a radiologist. The team was kind enough to share some of the trends they observed during the consultations, which helps give me a broader sense of the public health needs in the area. Patients waiting for the doctors. So many people showed up, the health center ran out of chairs. 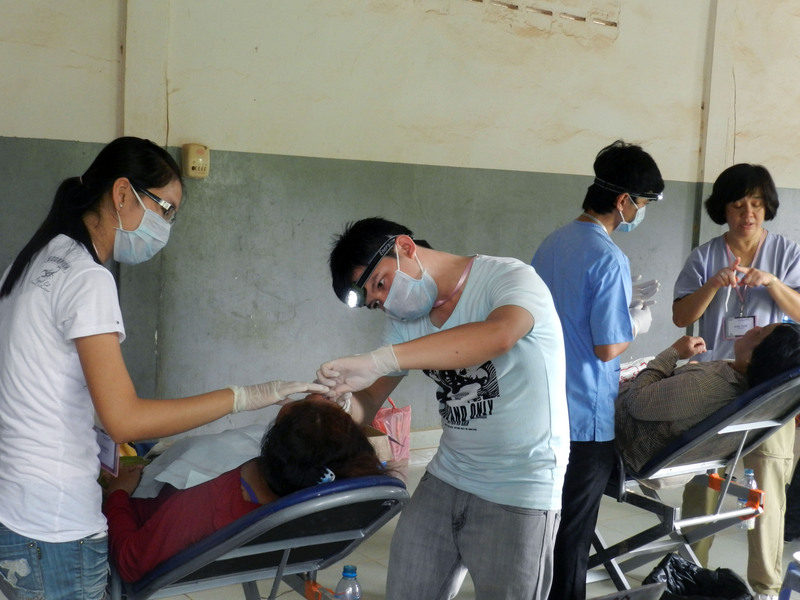 The dentists worked on more than 75 patients. There were several tables like this set up for consultations. Each table had an American doctor and a Cambodian translator. A patient shows her appreciation for the new pair of eyeglasses. 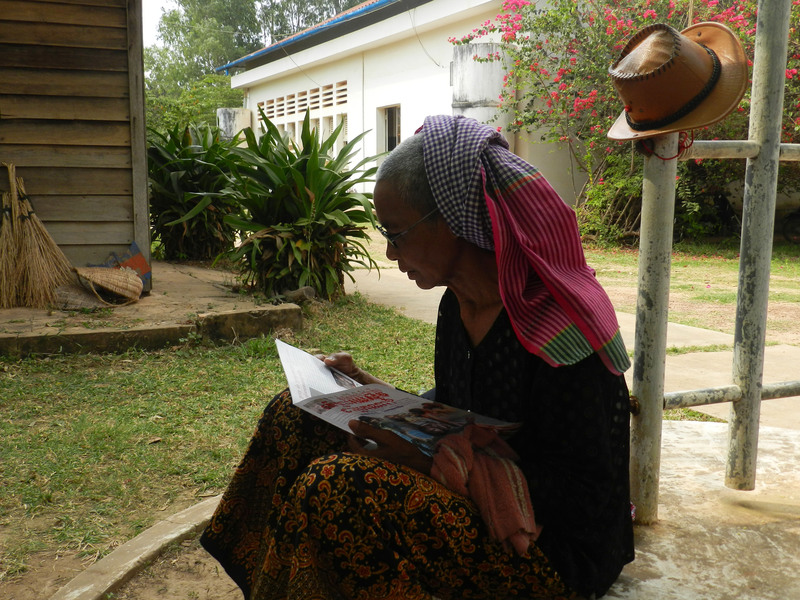 A patient reads a religious pamphlet while she waits. Cambodia, like Michigan and most of the Northern Hemisphere, is in its cold season. However, while many Michiganders are fighting off the cold weather with warm sweaters and hot chocolate, Cambodians are taking advantage of the brief reprieve from the heat and scheduling their weddings. Indeed, we are smack in the middle of wedding season here. All around the country, tents are being raised, elaborate, brightly colored dresses are being hemmed, and discordant wedding music is being blasted from wooden carts piled high with speakers. 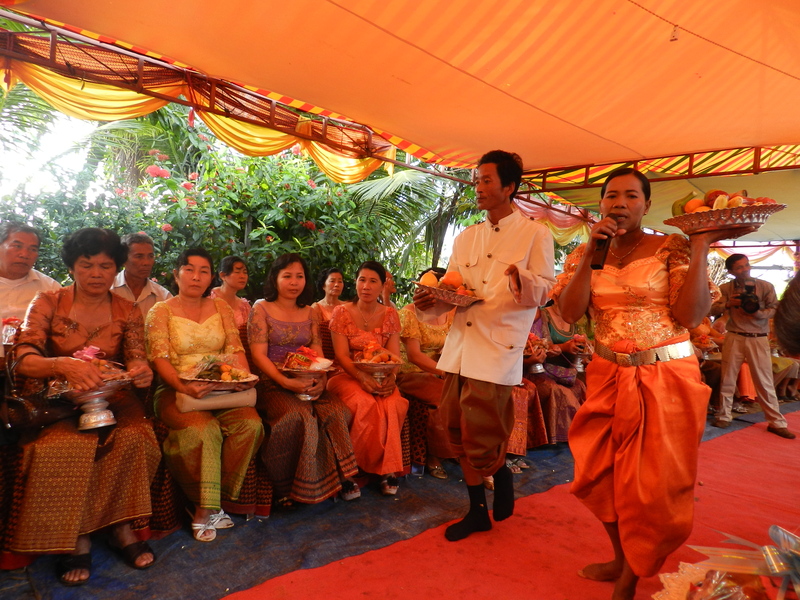 Although weddings in the United States have become increasingly customized based on the personalities and beliefs of the couple, Cambodian weddings are steeped with traditions and rituals that can be recognized in virtually every ceremony. 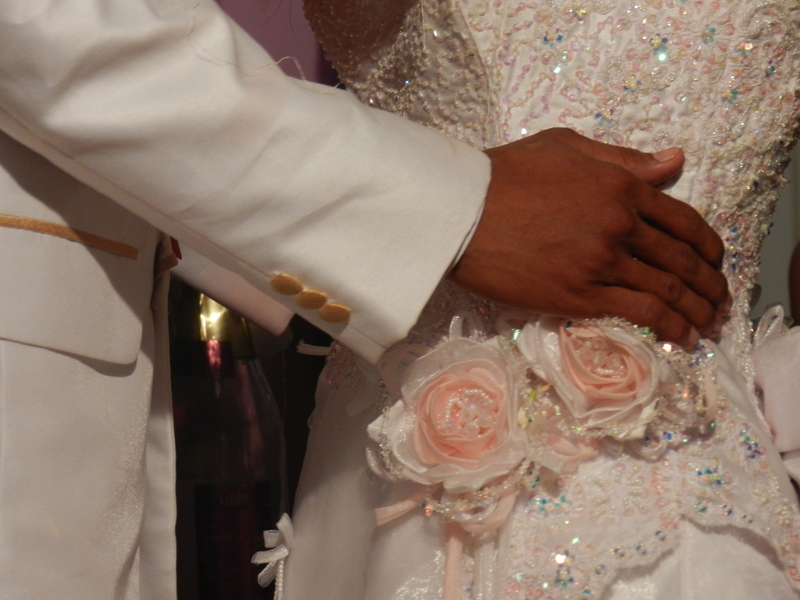 Before a ceremony ever occurs, however, both families must agree to the marriage. In fact, it isn’t entirely rare for families to arrange the union on behalf of their children. Courtship, as it exists in the United States, is virtually nonexistent in rural Cambodia, and even couples who do choose to marry on their own have often never spent time with one another outside of a public setting. 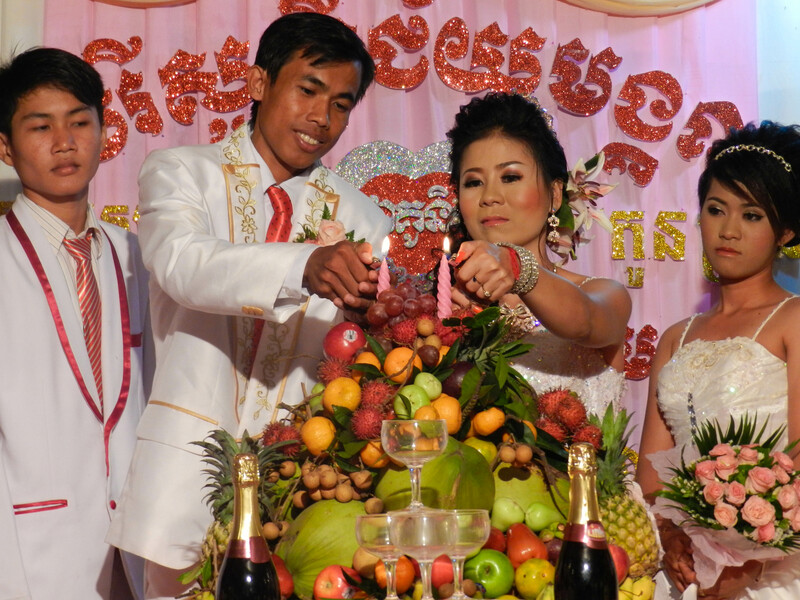 In fact, almost all rural Cambodian couples share their first kiss on their wedding day. After the families agree to the marriage, they negotiate the bride price. In the town where my husband and I have been living and working, the groom and his family usually pay between $2,500 and $3,000 to the bride’s family. Once the bride price is settled, the invitations go out, hand delivered to each family who is invited to the joyous occasion. On the first day of the wedding celebration, family and friends close to the couple gather at the groom’s house with offerings of fruit and meat. The small crowd then walks, in a gender-segregated single file line, to the bride’s house, where a small ceremony and a light meal of rice porridge take place. This is generally one of the first opportunities for the couple to model their festive wedding outfits. Many brides have at least five different, glamorous outfits for the occasion. Similarly to many brides in the US, Cambodian women will spend hours pinning their hair into a perfect up-do and generously applying make-up. In Cambodia, a culture that idolizes creamy white skin, most brides also slather on several layers of whitening cream before applying their nearly-white foundation. The bride will soon flaunt another equally stunning outfit for the haircutting ceremony, during which guests take turns symbolically cutting the hair of the bride and groom. As they pretend to snip the locks of the new couple, family and friends wish them happiness, prosperity and longevity. In a similar ceremony, blessing strings are tied around the wrists of the bride and groom, as more well wishes are bestowed upon the young couple. Throughout the various events, Buddhist monks generally chant prayers for the family, and musicians play traditional Cambodian instruments, including the tro, a two- or three-stringed vertical fiddle. After several days of ritualistic, highly structured ceremonies, the wedding culminates in a large, joyful reception, not much different from many receptions in the United States. Very frequently, 500 people or more gather in a large tent or restaurant to partake in some of the most delicious food the country has to offer. For men, the beer flows freely, but it is not considered polite for women to drink, even at the most important parties, such as a wedding reception. Shortly after the guests finish eating, contemporary Khmer music blares, loud enough for the entire village to hear, signaling the beginning of the dance party. And what started as a quiet negotiation between two families turns into a raucous party that lasts well into the night. 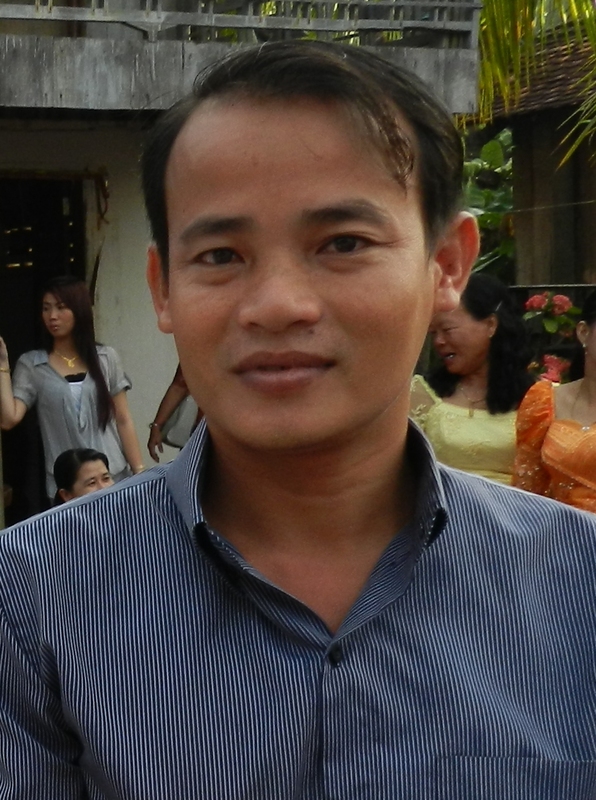 Our first Voices of Cambodia interview comes from Chantha, one of our first friends at site. My name is Chantha and I am a teacher and I live with my family. There are five people in my family. My father is a farmer and my mother is a housewife. My brother right now is married and stays with his wife. I’m the second son in the family. My younger brother stays with us. He has work also. I like to watch TV when I have free time. I like to watch live concerts from Phnom Penh and I read newspapers and books also. What do you do in an average day? Monday through Friday I go to school and teach my students. Class starts at 7 am to 11 am. From 11-1 pm I have free time and I have lunch. From 1 pm to 5 pm, I have class again. Every Saturday and Sunday, I go to Siem Reap for computer class. What do you want American people to know about Cambodia? I really want American people to know about the culture. I want them to know more about the situation of people living right now. I want them to know about the students studying in high school. How has Cambodia changed in your lifetime? The school has changed. Before, students came far away to study in Kampong Kdei, but the government is building schools. It’s easy for students to study now. Another thing is the road. The road is better now. Students can continue studying and find a good job in Siem Reap. Before, there were no MFIs (Micro Finance Institutions) or NGOs. The material used now is modern – new bicycles, new houses, new motos. When I was young, we had a civil war. There was fighting sometimes, but now it has stopped. They’ve come to work all together. How do you think Cambodia will be different in ten years? First, it will be different for students – they can go to school and study together. When they can increase their knowledge, they can find a job to do. Cambodia will be better, but nothing can change without knowledge. If the new generation has high knowledge, they will join and develop the country together. If you could improve one aspect of your community, what would you improve? The youth would study more and have a good job to do. They will change themselves and develop the community. If you won $10,000, what would you do or buy? I would study at university and find a girl and get married. I would have a plan for my future with my wife and build a new house. In an ongoing effort to make this blog a readable, interesting, but unromanticized account of our Peace Corps lives, Katie and I have decided to begin a new series entitled “Voices of Cambodia.” We’ve talked at length about the pitfalls of writing personal blogs about Peace Corps service and realized that it is exceedingly difficult to write entries with an honest, unbiased voice to them. While we do try hard, we often find our posts don’t come across as accurately as they should. Slightly stronger adjectives are used; emotions get in the way; personal bias or sensationalism clouds what could be an objective, well-written post. So how do we avoid these pitfalls? By asking the very people we’re writing about so much on this very blog. What better way to teach others about this country and its people than to let this country and its people do the talking? Katie and I have come up with seven questions that we think can elicit some particularly interesting responses from Cambodians. 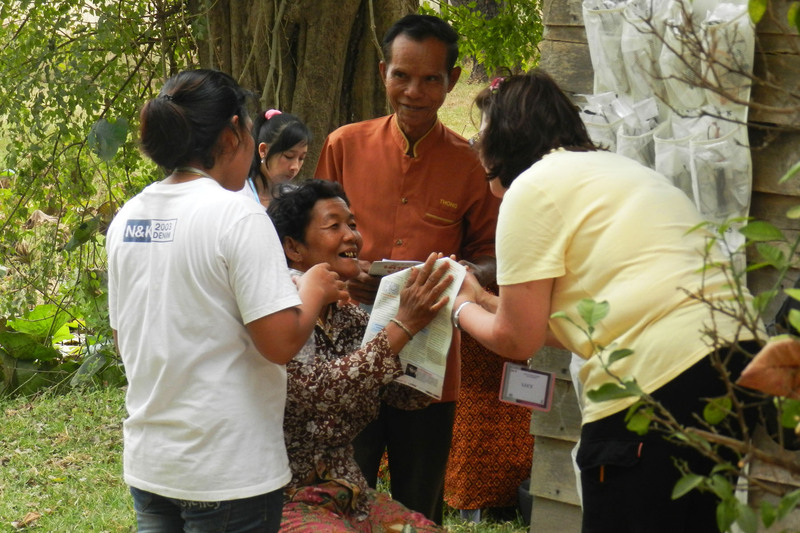 We’ll ask these same seven questions to Cambodians in and around our site. We are open to others if you have ideas – just let us know what you want to read about. We’re starting the interviews with our English speaking friends to finalize the questions, but soon we’ll do them all in Khmer with others in our town as to get a more representative group of responses. We will not provide commentary about the responses. Their answers will be as raw as translation will allow. We will try our best to translate both Khmer and broken English into something readable, but we will try hard to stay as true to the original language as possible. You will be able to easily access any of the interviews by clicking on “voices” on the right hand side of the screen under the “Tags” heading. What do you want the American people to know about Cambodia? How do you think Cambodia will be different in 10 years? Look for our first interview soon.